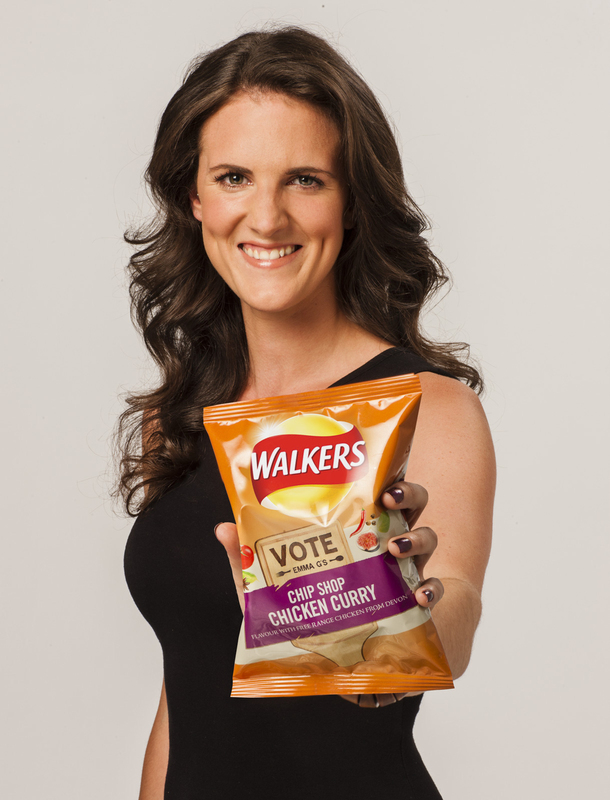 Walkers announces the six finalist flavours on shelves now for its huge flavour campaign ‘Do Us A Flavour’, which includes Emma Garnett’s Chip Shop Chicken Curry. From today, the public can pick up a packet of the six tasty new suggestions by finalists from across the UK; Chip Shop Chicken Curry was chosen by Emma Garnett from Cardiff, Ranch Raccoon by Robert Gibson from Harrogate, Cheesy Beans on Toast by Emma Cooper from Tewkesbury, Gloucestershire, Sizzling Steak Fajita by Jed Poole from London, Hot Dog with Tomato Ketchup by Sarah Morgan from Bradford, and Pulled Pork in a Sticky BBQ Sauce by Paul Rothwell from Westcliff-on-Sea, Essex. Emma, who is behind the delicious Chip Shop Chicken Curry is hoping that the public will vote for her to win the £1million. She said, “There’s nothing better than Chip Shop Chicken Curry and I’m in no doubt that people will be queuing round the block to get their hands on these crisps, as they do for their Friday night takeaway”. With only a few weeks to go, it’s more important than ever that Cardiff get behind their finalist and vote!